At Littlehampton Wave we offer a range of sporting activities... whether you prefer badminton, basketball, volleyball or table tennis, you can do it all at your local centre! 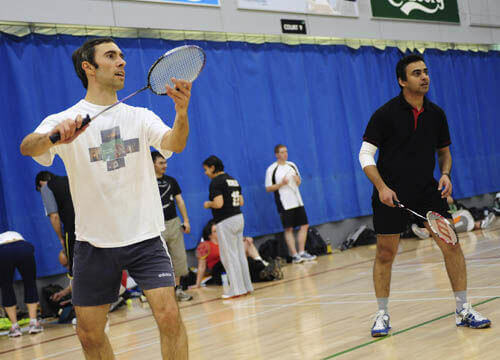 Enjoy a huge variety of different sports and activities in our huge, versatile sports hall. With space for 8 badminton courts, netball facilities, five-a-side football sessions, volleyball, table tennis, trampolining and loads of others. Throughout term-time we have an unrivalled array of sports and activities for all age groups and abilities. You'll be hard pressed to find a more extensive programme of activities than those on offer at Littlehampton Wave. looking to hire a court?